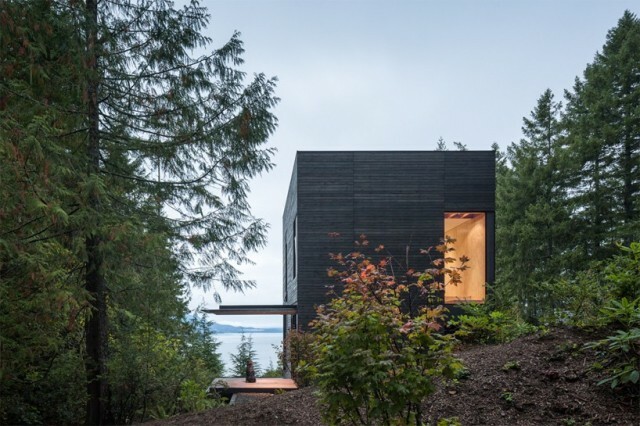 Overlooking the thick forests and hood canal of Washington state, ‘the little house’ by seattle-based firm m|w works architecture is a compact and contemporary cabin that takes advantage of its scenic surroundings. the new property sits over an existing foundation and measures just over 20 square feet. adopting a simple, cubic form, the external structure is wrapped in taut oxidized black cedar with blackened cement infill panels.